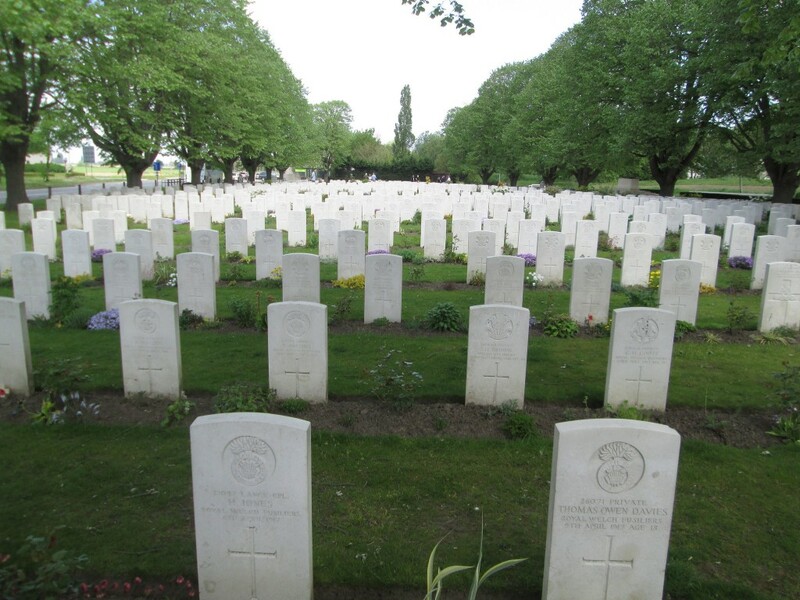 Ypres, with its countryside and center dotted with countless memorials, has gone down in the history books as the Belgian area the Great War reduced to rubble. But while its citizens keep the memory alive, Ypres is also the city with an undeniable medieval charm, a top-notch local beer and a rather kooky folkloric parade that attracts cat lovers from around the world. 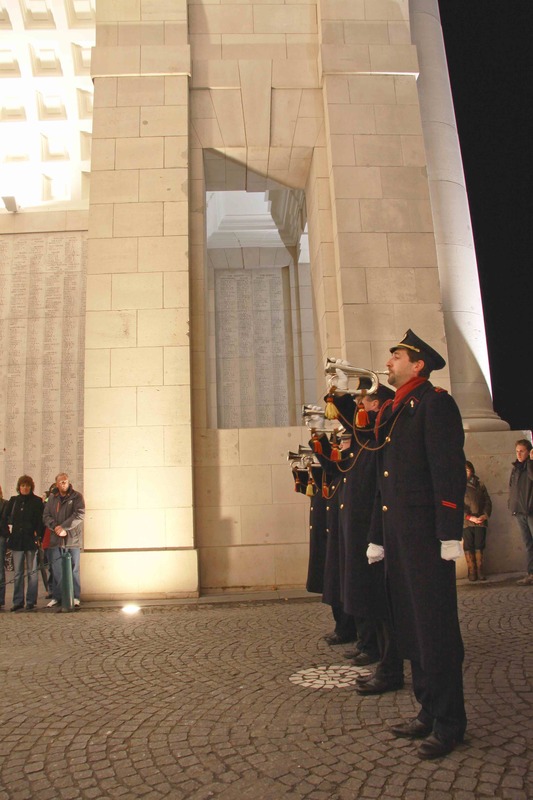 Every evening at 8 o’clock without fail, the Ypres sky fills with the sounds of clarions coming from the Menin Gate. It is here, under the memorial the Brits built in 1927, that a moving ceremony honors the Allied soldiers who lost their lives in the Ypres Salient while defending Belgium’s freedom. The Last Post is free to attend by anyone, and those who apply in advance can take part by laying a wreath to commemorate the fallen. It is believed that McCrae started the poem after the death of his friend Lieutenant Alexis Helmer, for whom he conducted the burial service at Essex Farm in May 1915. Two memorials on the site commemorate the Canadian physician and his poem, written at the medical aid station near the cemetery. Already a people magnet in the 14th century, the imposing Cloth Hall with the towering belfry stands as a reminder of the city’s status as a medieval trade hub. Mowed down by heavy German artillery in April 1915 and left in ruins, the example of grand Gothic architecture was restored to its full glory after the war. Fittingly, the In Flanders Fields Museum has recently found a new home in the Cloth Hall, which provides a panoramic view of the city and its surrounding battlefields. A young city brewery in the most historic of places, Kazematten Brewery has taken up residence inside Ypres’ 17th-century fortifications. Run by a couple of the region’s foremost brewer families, you can taste the blonde beers ‘Wipers Times’ and ‘Grotten Santé’ here, as well as take a look at the casements (fortified gun emplacements) built by Sébastien Le Prestre de Vauban, engineer to Louis XIV. As just proven with the Kazematten Brewery’s unique setting, Ypres’ historical significance goes way beyond its role in the First World War. An example: more than half of the city’s ramparts have stood the test of time (and that of wars) for over ten centuries. They have become the best-preserved ones in the country, largely thanks to the renewals executed by aforementioned military engineer de Vauban. Exploring these fortifications with their moats and islands makes for the perfect hour-and-a-half walk with stunning nature views and color displays, especially during the fall. Of all the restaurants Ypres has to boast about, De Ruyffelaer must be the most comforting with its grandmother-style kitchen, wooden décor, and warming hearth. A true testament to the power of Flemish nostalgia, the place somehow leaves you with not only your belly fed but also your soul. 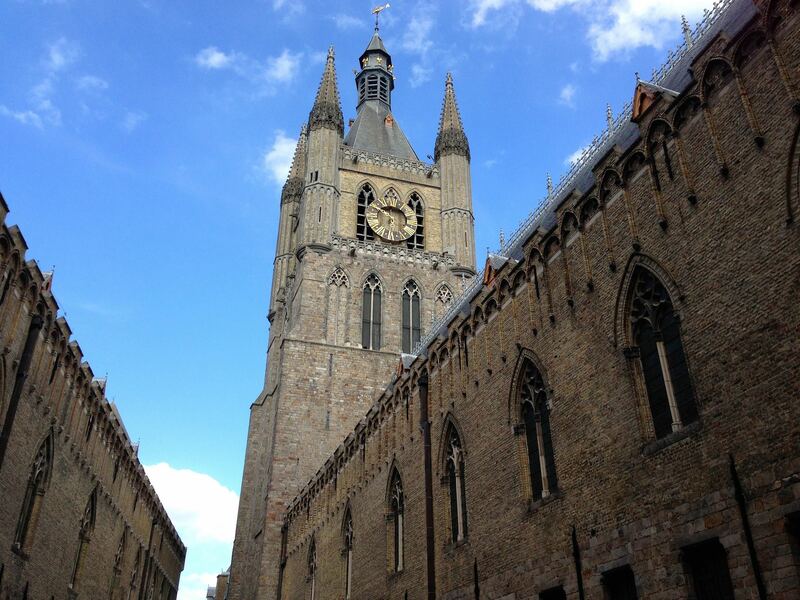 It’s an outstanding pick during wistful autumn days or the ideal departure point for one of Ypres’ historic walks. If you’re lucky enough to be visiting in a year when the triennial Cat Parade comes to town, prepare for a whole series of images you’d never thought you’d see. For example, a jester hurling stuffed cats off the belfry, or the city streets crawling with international feline fans dressed as cats, mice or all sorts of medieval characters. The cute folklore festival has its roots in a somewhat darker territory, though, as live cats (believed to be evil spirits or witches) were actually thrown off the belfry from the 12th century onwards to 1817. All done with the brutish medieval practice, Ypres has now become a place of triennial cat worship, with floats and booths all dedicated to its feline friend.